The Company Behind CitiBike's Technology Is Going Bankrupt. Now What? Bixi—the Montreal nonprofit company that developed the technology that powers New York City's eight-month-old CitiBike program—filed for bankruptcy protection today, after it emerged that cities including New York and Chicago were withholding payments to the company. Could the news affect CitiBike? Maybe—but not just yet. According to a report in the Montreal Gazette, Bixi owes $29 million to the city of Montreal, which controls the nonprofit, and $8.3 million to its suppliers. How did things get so bad, in a seeming boomtime for urban bike shares? Though Bixi has been in financial trouble for years (Montreal spent $108 million to bail it out in 2011), this new wrinkle stems from a January 15th letter from the city, demanding that Bixi repay a debt. Bixi was unable to comply, partially because cities that use its technology—like New York and Chicago—are refusing to pay their own debts. Why? Because they're upset about Bixi's glitchy, slow software updates. "They are not happy with delays in promised updates in back-end software," explains the Gazette. New York City reportedly owes Bixi $3 million, while Chicago owes $2.6 million. 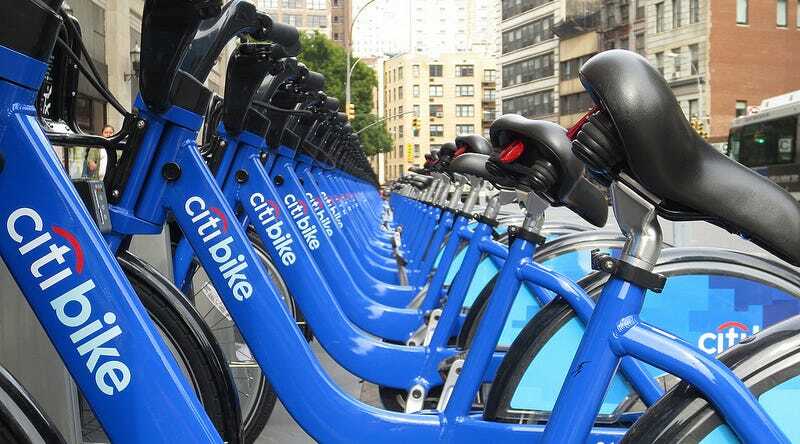 Could this affect New York's CitiBike program? Maybe eventually, but it's far more likely to affect Bixi's Canadian operations. First of all, Bixi's technology is licensed in the US market by Alta Bicycle Share, which operates eight programs in the United States. In turn, NYC Bicycle Share LLC, the company that operates CitiBike, is a subsidiary of Alta. In an October statement from Alta, Vice President Mia Birk told The Atlantic Cities that "No matter what happens with [Bixi], Alta Bicycle Share will continue now and in the future to provide world-class products and services to our clients." Bixi has 30 days of bankruptcy protection right now, and that could extend for up to six months if the company requests it. Eventually it could sell off its foreign operations, but that would simply mean that CitiBike—which is funded in part by a $40 million sponsorship from Citi—would be licensing the system from another company.